Today’s interviewee is one of those individuals who will simply make you smile just by existing. 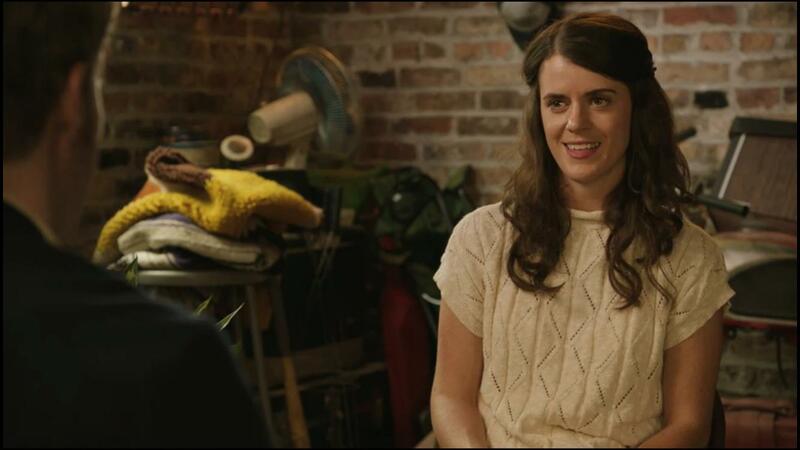 Mary Holland is an actress who seems to pop up on everything brilliant these days. She is a hilarious human being who also happens to consistently align herself with other hilarious people. 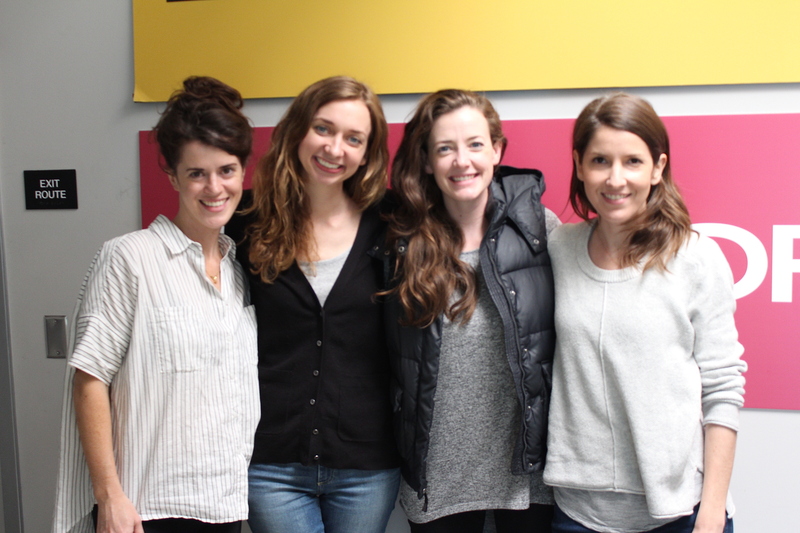 Including our friend and past interviewee Stephanie Allynne! And while the Upright Citizen Brigade has always been a legendary force in the world of comedy, there certainly seems to be some sort of renaissance happening with the aid of people like Stephanie and Mary and several other brilliant folks coming out of these theatres. Comedic, whit, charm, and professional mannerisms are becoming aplenty thanks to people like Mary, and I could not be happier! Editor’s Note: Within the interview, we discuss the SeeSo Original Series Shrink, which remains brilliant. Unfortunately, this interview was conducted months prior to the news that SeeSo was shutting down. Not to steal Mary’s shine, but we just wanted to say thank you to SeeSo for the wonderful run you had. 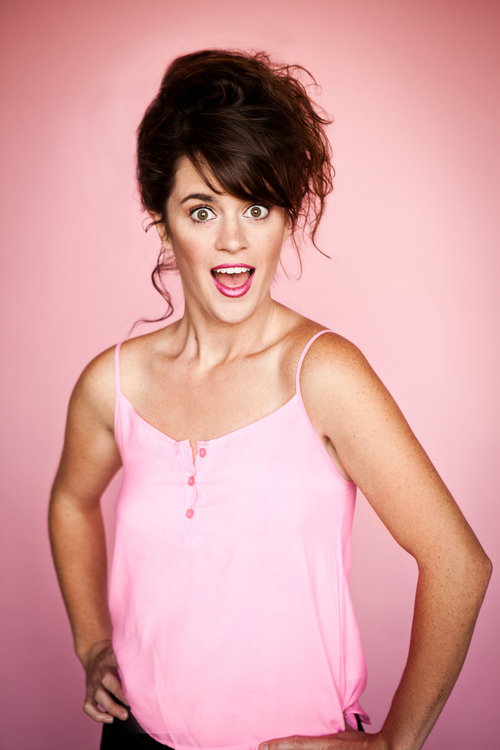 You gave the viewers a way to watch brilliant comedic minds like Mary Holland on an all new level. RIP SeeSo! I have to admit, it is always hard to write these introductions for the brilliant comedians we have featured on this site. I am not a comedian, and I feel like that shows. I do not have the wit and comedic wisdom that these fine individuals have, so what am I supposed to do? Should I try and throw in some ridiculous adjectives and even more ridiculous puns? No, I would rather leave that to the brilliant minds we love to showcase. So with that, I am going to simply shut the hell up, and let you all enjoy some amazing words from the great Mary Holland! What drove you into the world of comedic acting, be it improv, sketch, etc.? Basically, when did you first realize that you were a hilarious human being with a gift to share with the world? I was a class clown when I was a kid. I loved the attention I got from making people laugh. It became a part of my identity and how I made friends. I also knew I wanted to be an actor, but I wasn’t thinking of exclusively doing comedy – I wanted to do everything. After I graduated from NIU with a BFA in Acting, I moved to Los Angeles and began taking classes at UCB. The friends I met there and the shows I saw really inspired me. It felt right, it felt like home to be there, so I jumped in and began doing improv full time. I can’t imagine my life without it! Hey! That’s Mary with our new pal Stephanie Allynne w/ Wild Horses! What made you decide to join the world of the acclaimed UCB, and how did it happen to work out for you? Was it always a goal of yours? When I first moved to LA, I was pretty lost. I didn’t know many people, and the built in community that I was a part of when I was in school was no longer there. I needed to find or build my own community, and I had no idea how to do it. Creatively, the occasional acting class and audition was helpful, but I was feeling stuck and sad. I happened to live in a building very close to the UCB theatre on Franklin avenue in Hollywood. I saw shows and loved them, so I signed up for classes. I fell in love with improv and devoted most of my free time to practice groups, classes, and seeing shows. I came up with a great group of improvisers, so watching them and playing with them I think was a big part of how I started to improve as a player. I was around a lot, and got up to play whenever I could. Over time, I became a part of the community and started performing regularly at the theatre. It became a huge part of my life. I truly don’t know where I would be without improv or UCB. Being able to perform there was a goal when I saw my first show, but I never imagined it would happen. I’m so grateful it worked out the way it did. Can you tell us a bit about your work on the SeeSo original series Shrink. I will admit, I am not to aware of much of SeeSo’s programming, and I am quite ashamed of it. It all seems so perfect and geared toward lovers of comedy. So can you tell us a bit about this show? Shrink is the brainchild of Tim Baltz and Ted Tremper, both from the Chicago improv scene. Tim is a brilliant improviser, and Shrink really showcases that. It’s about a doctor who graduates from medical school, but doesn’t get in to any of the residencies he applies for. Severely in debt and at a loss for what to do with his degree, he decides to pursue becoming a therapist. He moves in with his parents and stepbrother to save money, and begins having therapy sessions in the garage with patients from Craigslist seeking free therapy. I play one of his patients. The cast is populated with fantastic improvisers from Chicago and Los Angeles, and each session is heavily improvised. Tim is incredible as Dr. David Tracey – the show has such heart and is so funny and real and dark at times. I’m very proud to be a part of it. I am however very familiar with your work on the amazing series Blunt Talk, that is absolutely hilarious and impressive. How has your experience been on a show like this? On screen it appears as though Patrick Stewart has adapted quite well to the comedic word, does it feel like that off screen to you? I’m so glad you liked the show! Patrick is one of the most delightful and generous actors I’ve ever met. He’s so charming and funny and understands comedy in such a unique way. I learned a lot from watching him work. Walter Blunt is a deeply flawed person, but he has such good intentions. Patrick brought a lovely vulnerability to the character that really made the comedy work. I think that is a key component in making something funny – bringing vulnerability to your performance will make your reactions come from a grounded and honest emotional place. Then the comedy works better because it feels earned and real. The cast and crew of Blunt Talk are so dear to me. We were very close during the making of the show (and afterwards as well). I absolutely loved my experience on set and off set. That show will always have a special place in my heart. You have also recently joined the cast of the amazing and critically acclaimed to no end, Veep with an amazing set of appearances. What is this show like? Does it differ from any of the other shows you have worked on that had great writing and directing? What do you believe has sparked such acclaim since its inception? Working on VEEP has been such a dream. The actors are incredible, and 6 seasons in, the whole operation is a well oiled machine. As an audience member, I was blown away by the caliber of writing and acting on the show. Getting to be in the room with those people was an education in comedy. The showrunner, David Mandel, the producers, the directors, Julia, the writers, and the whole cast worked tirelessly to make each moment and joke the funniest it could be. There was never a sense of “ok that joke’s not working but whatever, let’s move on”. They would figure it out, no matter how long it took, so that the scene worked and was the best and funniest it could be. It was so inspiring to watch and be a part of. I think that’s also why it’s garnered such critical acclaim – the entire group is so excited to be there, and they all support each other in making it the best and most hilarious show out there. If you were given the chance to write the most hilarious script about a fictional serial killer, what would this story entail? And would you want to play the lead, or who else would you want to write it for? Oh wow! It would be a challenge to make a comedy about a serial killer.. maybe a period piece about a woman in the French court who poisons people for fun? Then it turns out the poison is only temporary so everyone comes back to life and she’s constantly frustrated that her poisons aren’t working. I would insist on playing the lead. What is next for you? What would you like to plug to our dear readers? Keep tuning into VEEP! And check out Shrink on Seeso. I perform regularly at UCB in LA, so check out the calendar if you ever want to see a show. A picture of a friend that I took last night. I looked at it this morning and smiled.